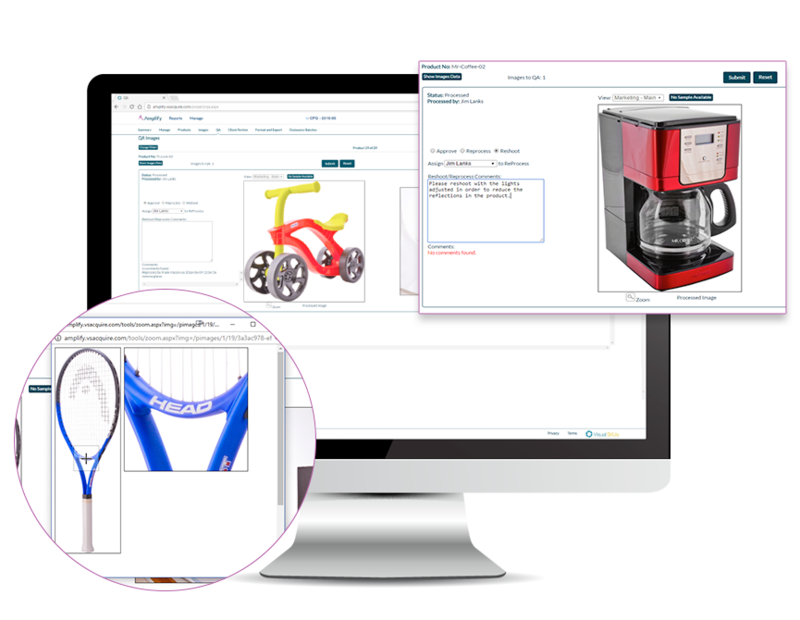 Increase production and quality, lower costs, and provide stakeholder visibility with online project management, image editing and QA, and powerful product photography workflows. Every project is different – some are basic with only a few steps in the workflow process whereas other are complex involving many workflow steps. Amplify can manage it all. 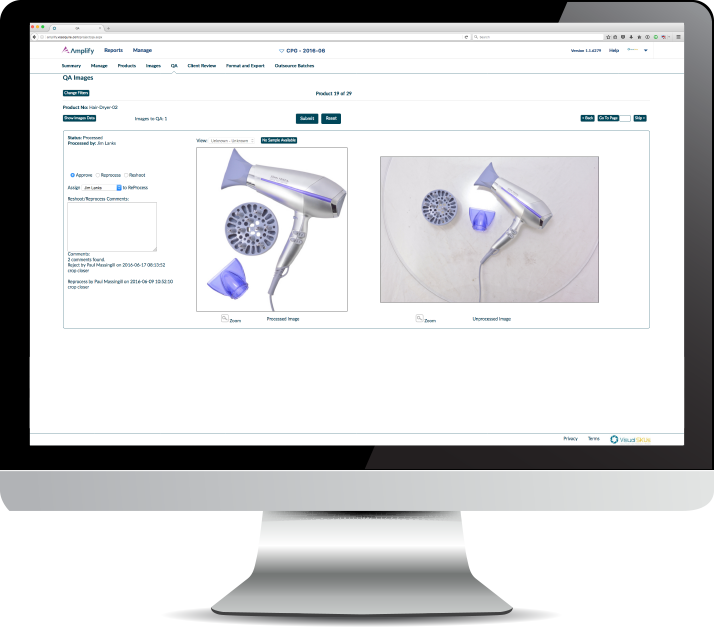 Amplify has built-in QA processes allowing each image to be reviewed for quality. Images that do not pass QA are sent back for further editing or reshooting. Comments are included with the rejected images so editors and photographers know why they did not pass QA. Amplify can provide visibility into the various stages of production for product photography projects of any size. 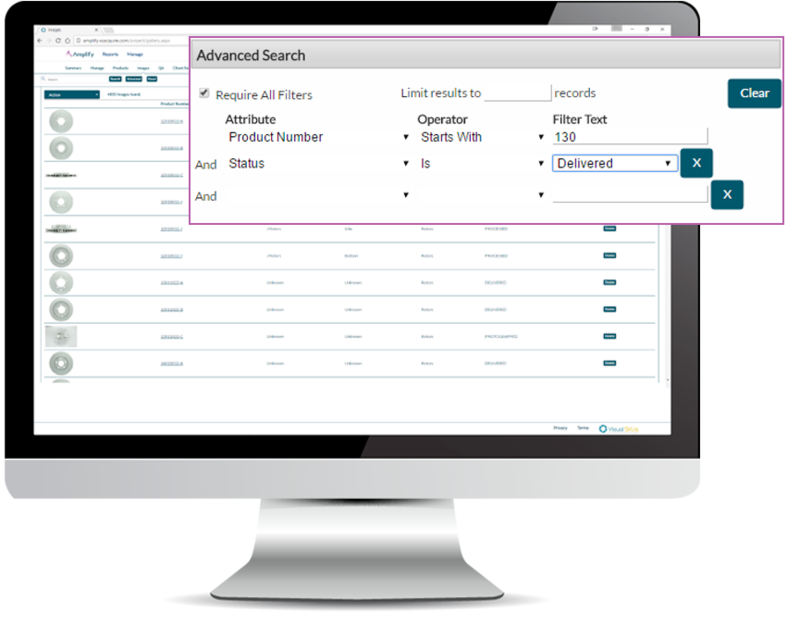 Production managers can create advanced search queries to display products by production stage, allowing them to edit image information and associated metadata. Amplify collects photography and image production data and all image, product, project, and users related information. 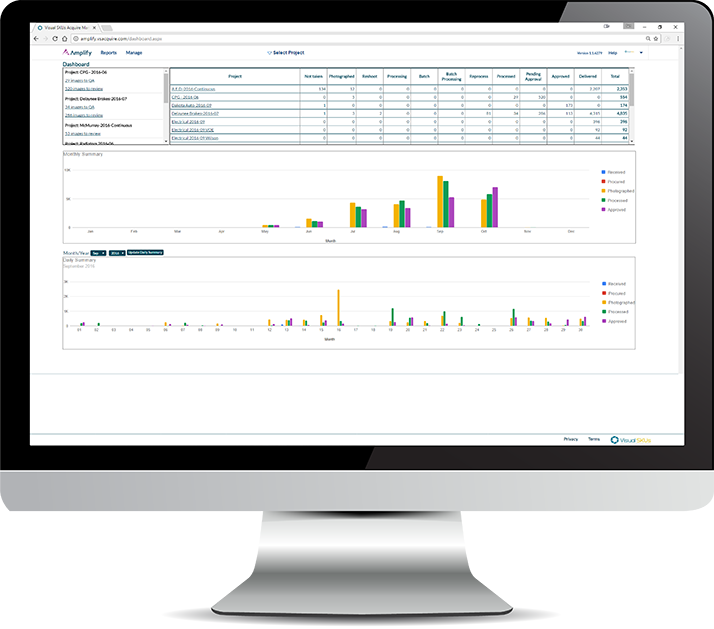 Project and system-wide dashboards display daily and monthly photography and image editing, QA, and formatting production. 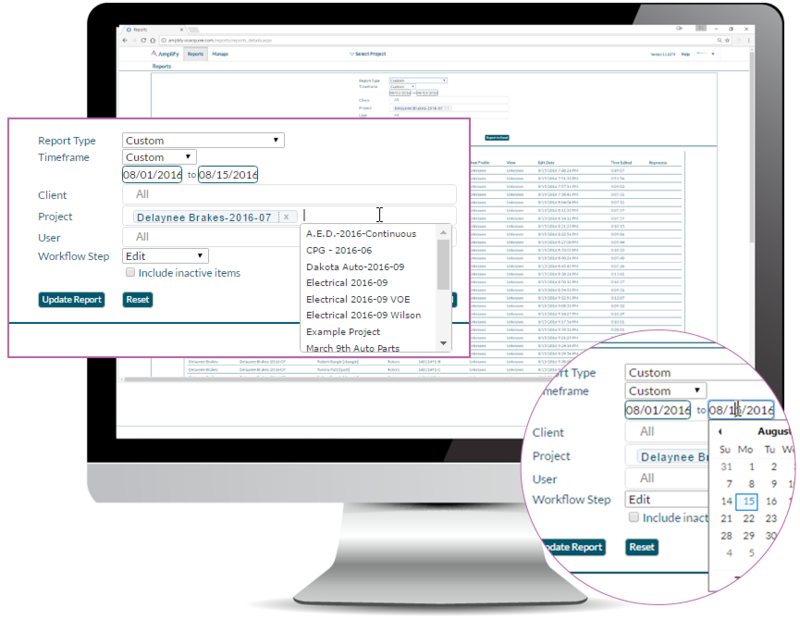 Custom reports can be created and downloaded for further analysis and for distribution to project stakeholders. Amplify allows photographers to focus on what they do best – taking high-quality images, fast. With Amplify’s image editing management workflows, editors can be located anywhere in the world, they can easily switch from project to project, their production activity is tracked, and image download and upload is automated. 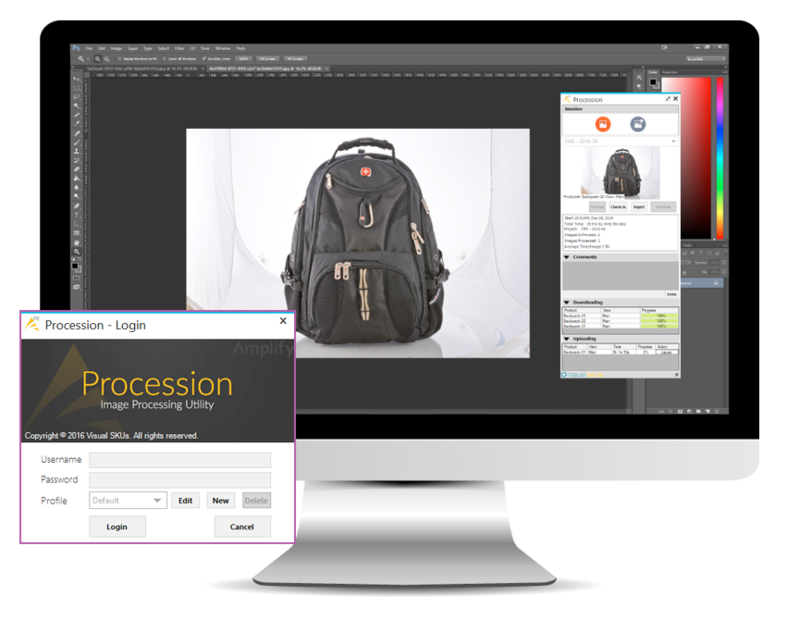 Image editors work in Photoshop without ever having to manually download or upload images. They are able to focus their time and effort on creating high-quality images, not on file management. When the number of images that need editing exceeds the capacity of the internal editing team and / or the cost of editing is too high, outsourcing to an external service provider is a viable option. Amplify has built-in functionality allowing images to be batched and allocated to a service provider. The provider uses Amplify to download images to be edited and upload final edited images. 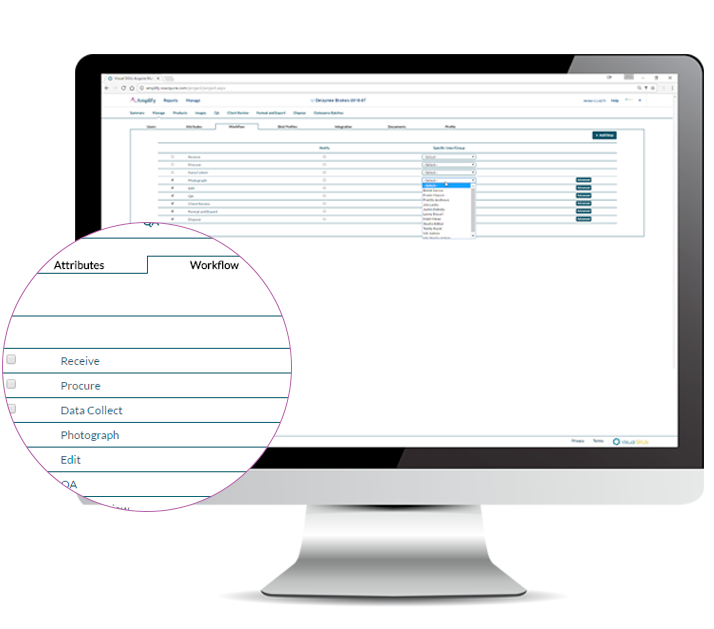 All production is tracked by the system and can be reported on. Outsourcing image batches scales production and lowers costs.